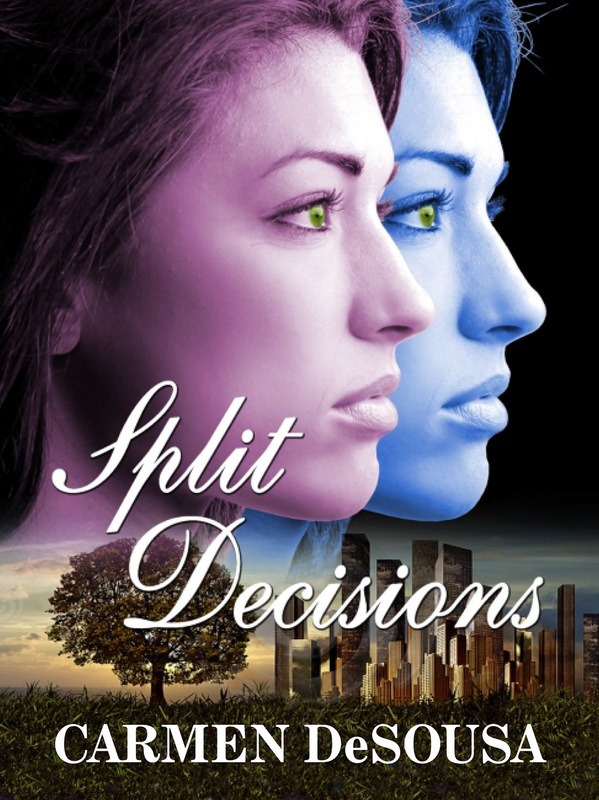 Split Decisions: Sometimes you want something so badly you are willing to abandon everything you’ve ever known—including yourself. Find her novels in print and eBook formats at your favorite retailer. Cuffs still secured her to the four bedposts. What kind of sicko would do such a thing? Her arms and legs ached from the position they’d been in all night, and she had to go to the bathroom something awful. When she opened her mouth to speak, nothing but a croak escaped, leaving a trail of lava in her parched throat. “Hel-lo?” Though her voice had cracked, she attempted to sound friendly. Screaming or sobbing wouldn’t do any good. Not that she had the strength or vocal cords anyway. The door opened finally, the hinges protesting in a lengthy screech, begging for oil. Her captor entered the room still wearing a black ski mask, gloved, and the same dark jeans and thick overcoat he’d had on the previous evening. He wasn’t too tall or heavy. If given the chance, she could probably take him. Jordan had taught her a few things. But as long as he had the gun trained on her, she’d have to be submissive. His gauntleted hand unlocked just one of her wrists. Then placing the key in her hand, he stepped back. Obviously she was to unlock her other restraints. She didn’t waste any time. She unlatched her left hand, then both of her ankles. After rubbing them to increase circulation, she jumped out of the bed on the opposite side of her detainer. He motioned with the gun that she should move to the door on the far side of the room. She did as instructed, opening the door to a small bathroom with just a sink and toilet. No window. She quickly relieved herself. It felt incredible; she’d actually been in pain. When finished, she opened the medicine cabinet and cubbyhole under the sink, finding nothing usable as a weapon. Both rooms were completely barren, stripped of everything. The abduction had not been a coincidence, but premeditated. This entry was posted in books, excerpts, Guest Blog by Steph. Bookmark the permalink.